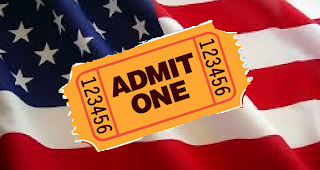 Discounts & Deals 4 Military: Where can I get FREE Tickets for Military Members? Where can I get FREE Tickets for Military Members? Military Members, Looking for FREE, DISCOUNTED Tickets? I've gotten free tickets to NBA, NFL, MLB games, michael buble concert, comedy shows, and many others. You and 3 dependents get FREE admission to either SeaWorld, Busch Gardens, Adventure Island, Water Country USA, Sesame Place, or Aquatica San Diego. Free admission includes the following locations: Bronx, Houston, Louisville, Pittsburgh, San Diego, Smithsonian, Utah. Plus discounts to many others. This is program is currently going on right now! Six additional tickets may be purchased at a discounted rate of $22. This year they also gave out free tickets in May. Wow to all the companies that give military and veterans this break. That is great! . but wish more companies would remember those that serve and honor them for their sacrifice. Some make close to minimum wage, to serve and protect America. It would NOT be America without our Veterans.